Strong, resilient, and inspiring—these are the three words that come to mind when describing Barbara Kovach. After nearly losing herself from battling breast cancer for half a decade and thirty years as an educator, Barbara needed a change and chose to move from Ohio to Charlotte, where she now lives. Barbara shares her inspiring experience training for the Ramblin’ Rose Triathlon and later becoming a mentor with the non-profit organization Tri It For Life. Her story provides inspiration for people of all backgrounds and ages. 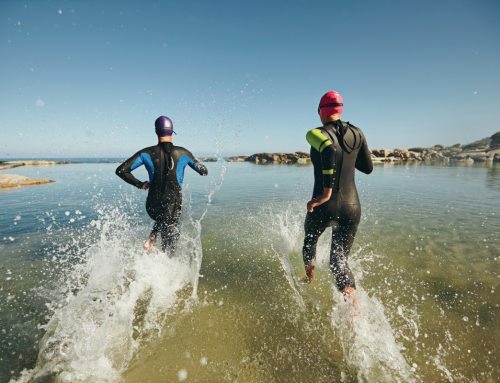 Whether you are considering training for a triathlon, or just need to learn to believe in yourself again, the wisdom Barbara shares will surely incite your journey. BK: Isn’t that the truth! A couple people actually laughed when I told them [I signed up]. I had always been somebody in the past who was like, “Hey! Here’s a challenge! Let’s go do that!” But I had lost that between breast cancer and work, I stopped looking ahead and looking for challenges; I was in survival mode. At the time [registration] was closed for the year, but I could sign up for athlete registration the following year. 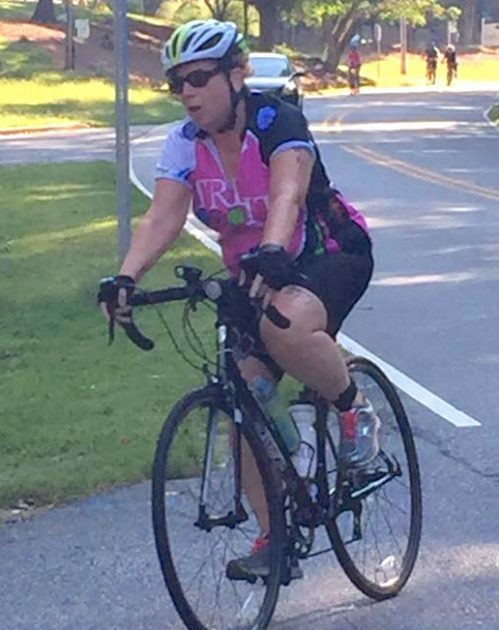 In November 2015, I got an email saying registration is open for Tri It For Life and I was at the point in my world where I needed to start taking time for me. 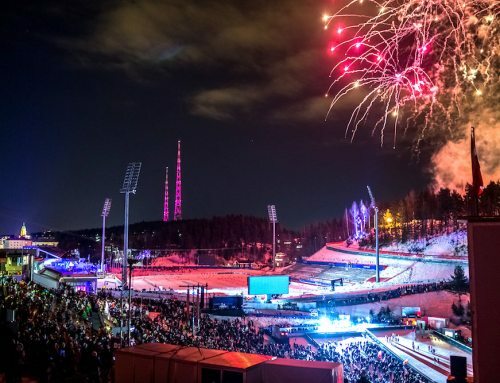 So I did it, I signed up . In February things started rolling and I was not sure what I got myself into; I don’t swim, bike, or run! You go into it feeling stupid, but you find yourself with a bunch of women of all ages, sizes, shapes, colors, and religions, doing the same thing. There I was at 55 standing with a girl who just graduated from college. There were women older than me too! What’s really awesome is that in Tri It For Life, you start each training session with the phrase “My name is ____, and I am an athlete.” It’s not about anything else. JH: That is a great mantra to get you going and believing in yourself! BK: It does make you believe in yourself. Because you can do this. There are other women around you every step of the way saying “You’ve got this! You can do it!” You know, I had this mantra of “What’s next? What’s my next challenge?” and for a while there I lost it. But Tri It For Life gave that back. JH: You mentioned that you are now a “mentor” for Tri It For Life. Can you elaborate? BK: Yes! I will be going back to Tri It For Life as a mentor, or returning member. One of the amazing things about Tri It For Life is nobody is a “professional coach.” The people helping you are athletes from previous years. It’s not like people are saying “I’m the coach and I’m telling you to do 20 laps.” It’s more of a suggestion, “Hey, I couldn’t swim down and back the length of the pool last year, but now I can. Let me show you how I did it and maybe that will help you.” They work with you where you are to get you to the next place. JH: This whole program sounds so great! BK: Yes, and another amazing aspect of the experience is nobody knows your background when you go into this. It’s not about “I’m a teacher. I’m a banker. I’m a stay at home mom.” That’s not who you are. When you come to this it’s “I am an athlete.” As you get to know people you may learn what they do, but when you come into Tri It For Life, you’re meeting everybody as you are. And that doesn’t happen in many places. JH: So, what advice would you have for someone say, like me, who fears the idea of training for a tri—who feels like they may not have the time to train, or are scared it might be too stressful? BK: I would say first take time for yourself. You have to value yourself enough to say “I need to take time for me, because when I invest in me, I have more to give back.” I got in better shape and lost about thirty pounds but that was just a by-product of taking care of myself physically, emotionally, and socially. Losing weight wasn’t my main goal. 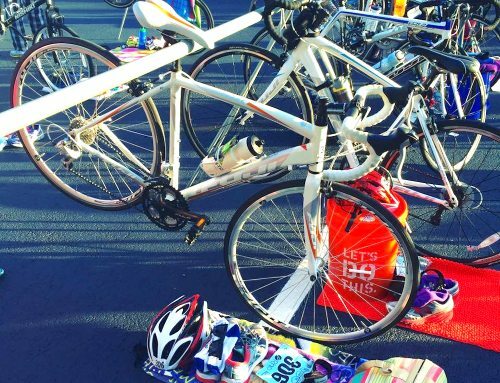 Anyone thinking about joining Tri It For Life, or even training for a triathlon, I say “just do it.” It was one of the best things I have ever done. Without a doubt. JH: Anything else you’d like to add? BK: From 2008 to 2013 I became a different person. I wasn’t happy. I wasn’t doing what I wanted to be doing. After thinking about the past year, the one thing I can come back and honestly say is that I am happy now. For the first time in a long time I can truly say I like looking forward to what’s next. I like finding out what that next challenge is, figuring out how I’m going to do it, knowing that I have people there who will support me. Whether it’s a mentor helping you on a bike, a run, or anything—in Tri It For Life, you are never alone. 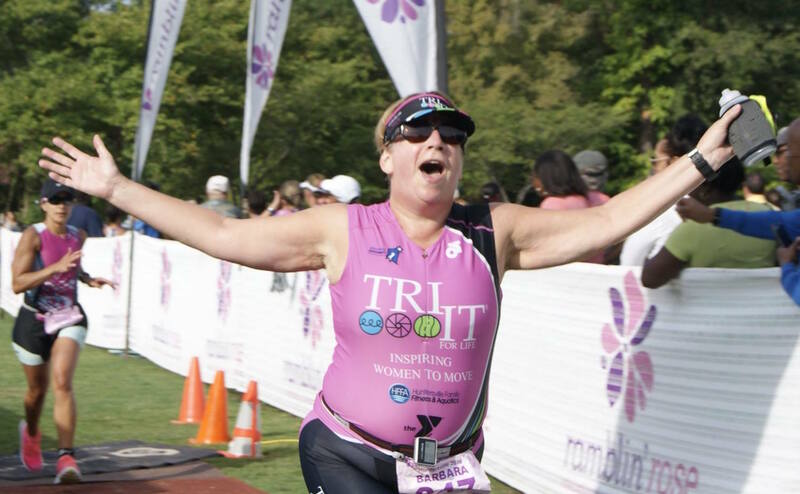 To learn more about Tri It For Life, visit www.triitforlife.com! Joscelyne Hauserman recently moved to Charlotte from central Pennsylvania. She graduated from Penn State University with a Bachelor’s of Science in Marketing and a minor in Communications. She lives in Ballantyne with her boyfriend, Steve, and cat, Juniper. Joscelyne loves running, climbing, and anything outdoors!